420 Rally organizers are appealing, with hopes of regaining their good-standing status with the City of Denver and its Parks and Recreation department. After a recent 420 rally, city officials are wondering if these types of events should be permitted in public areas. Debris was left scattered from garbage bags and allowed to dampen the city’s beautiful park, leading to a $12,000 fine and a three-year ban from the park. Some are suggesting the garbage was left by lazy rally-goers, who would rather celebrate the holiday than clean up their mess. However, planners believe that’s not the case at all. They believe that their cleaning efforts may have been sabotaged by an unsuspecting source and won’t pay the fine without a full investigation. 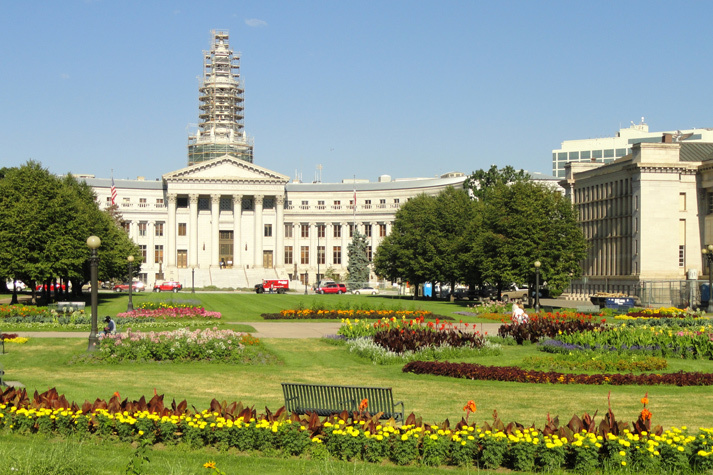 Denver’s beautiful Civic Center Park is bursting with lush areas of grass for lounging, pathways of beautiful flowers for smelling and tall trees to catch some shade under. Event planners have come to utilize the park’s spectacular appearance for events ranging from bridal shows to political protests. During the 420 celebrations, a rally was held at Civic Center Park, where cannabis enthusiasts from the across the country gathered to indulge in a variety of different strains, concentrates, edibles and oils. As the celebration kicked into full effect, the hundreds of party-goers began to create a massive amount of garbage, something not uncommon for large events. As the festivities wound down, volunteers stayed behind to help clean up the mess and ensure the park’s beauty remained intact. Once the cleanup had been finished, garbage bags were sealed and piled in one area to await their morning pickup. However, someone in the park had other ideas. At morning light, city officials realized something looked very wrong with their park, as mountains of garbage were piled and scattered over nearly every square inch of the area. Almost immediately, officials blamed the 420 festival goers for leaving the mess behind. Miguel Lopez, a 420 Rally organizer, says the blame due to differing ideas on the subject of cannabis. We understand that the City political structure disagrees with our message, and is using this process as a pretext to silence the message. Every Civic Center event has similar features and none of these issues were identified in past years’ 420 events. Rather than continue the argument between event planners and city officials, 420 Rally organizer, Santino Walter, offered some idea of what might have happened in the park, where many homeless reside, after the volunteer cleanup crew left for the night. All the trash was bagged, and everything was consolidated into place. Once it didn’t get picked up probably between 2 a.m. and 4 a.m., I think we had a lot of people in the park ripping through and opening up all the bags. 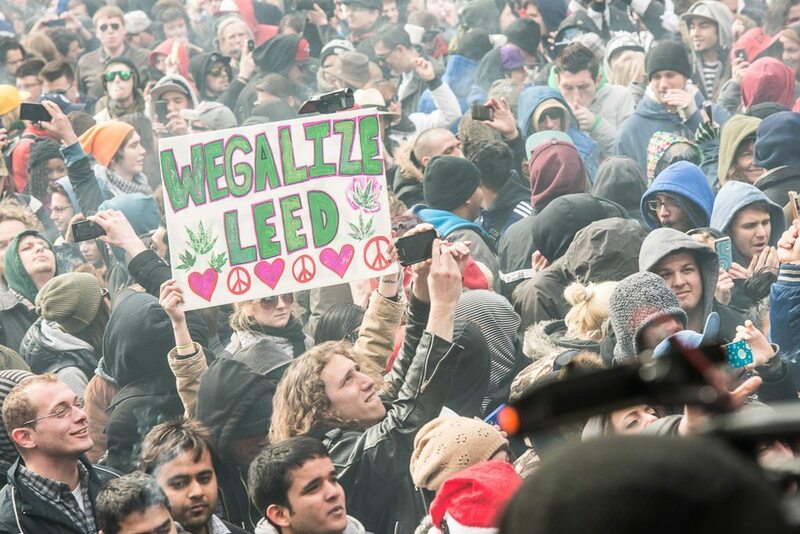 Organizers had the park cleaned up before noon that day, but that hasn’t stopped city officials from handing down a $12,000 fine and a three-year ban that would halt future 420 rallies. Happy Haynes, executive director of Denver Parks and Recreation, says the park’s safety is the main concern. After a thorough review of the event, substantial violations of city requirements were found. We will continue to ensure that events in our parks are safe, compliant and of high quality, and we remain focused on protecting Denver’s parks and facilities which are valuable assets to our city and our residents. 420 Rally organizers are appealing the fine and ban, with hopes of regaining their good-standing status with the City of Denver and its Parks and Recreation department.